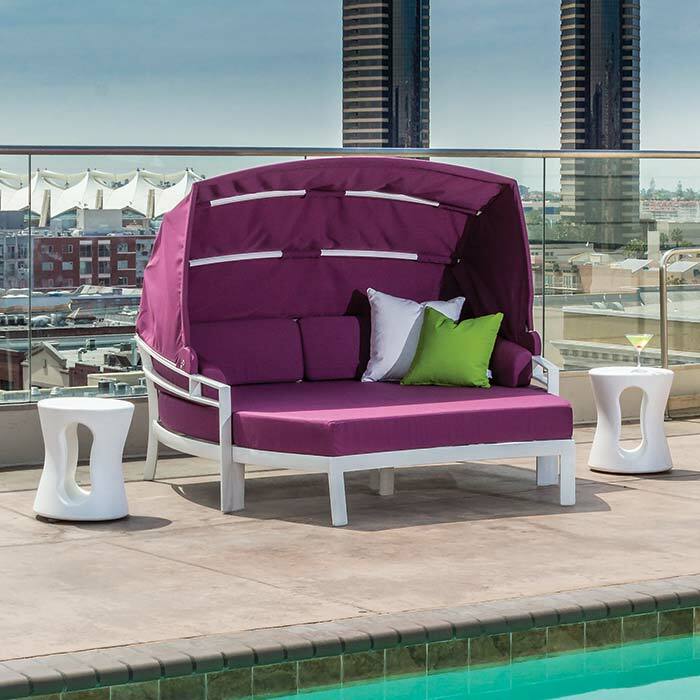 Tropitone’s KOR Cushion Outdoor Furniture Collection, designed by Brian Mehler, features an edgy design with curved backs, double bar arms, and arched angled legs. Inspired by mid-century modern design, the contemporary collection is available with an arm chair, loungers, ottomans, and modular pieces. Each KOR Cushion piece utilizes reticulated foam fill with vented cushions. Providing comfort and style, these sculpted cushions are available in Tropitone’s variety of cushion fabrics. KOR Cushion offers high quality and comfort that will look chic in any outdoor space.